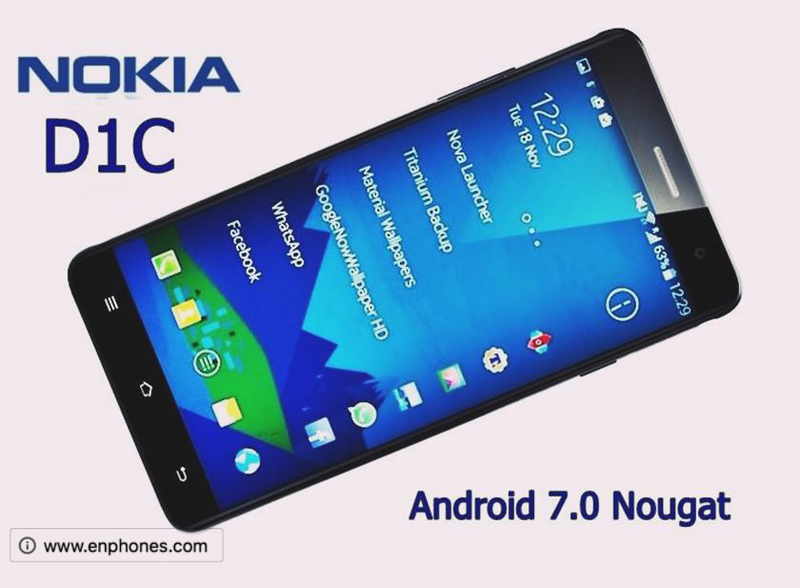 Nokia D1C, budget Android smartphone from the company is shaping up to be a reality. We have already seen it visit geekbench several times over the last week and now the Android 7.0 Nougat smartphone has graced AnTuTu as well revealing some more details. 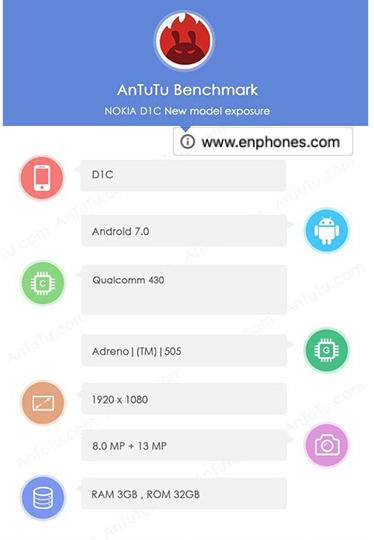 Earlier we came to know that the D1C from Nokia would run on the Snapdragon 430 octa-core processor with Adreno 505 GPU, 3GB RAM. But now AnTuTu tells us that it will come with a 1080p display, although its size is still a question. There will be 32GB internal storage onboard and another confirmation that it would run Android 7.0 Nougat at release. Back in August, Nokia had announced that it will be coming back to the smartphone and tablet space in partnership with HMD Global and FoxConn (FIH). 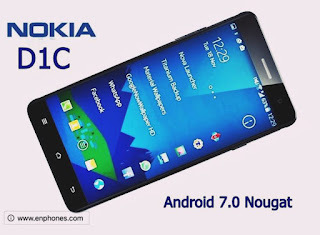 The device are scheduled to launch sometime in Q4 2016, the quarter which has already begun in October. 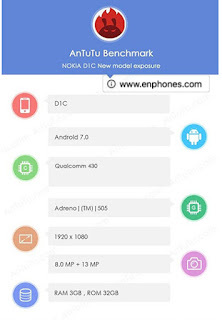 At present there is no confirmation when the device will hit the market but given the recent leaks on the Nokia D1C and the Nokia P1, there will be more than 1 device expected to launch soon.